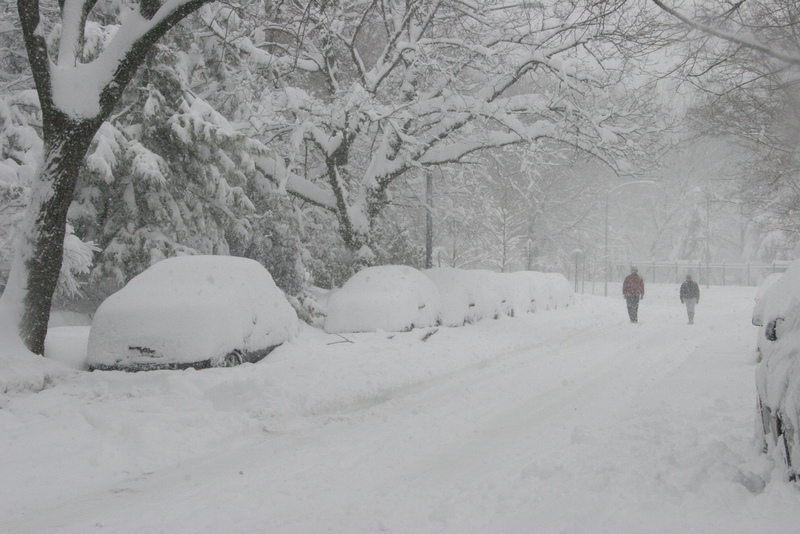 This winter, North America has been hit with one of the worst snow storms in history. Southern areas of the US received unusual amounts of snow. Places like Texas and Florida experienced record amounts of snow- Austin Bergstrom International Airport experienced the most snow since 1985. In the Northern regions, they experienced one of the worst snow storms in history as well. The storm, referred to by some meteorologists as a “bomb cyclone” for its sudden drop in atmospheric pressure, prompted flight cancellations and forced dozens of school districts to cancel or delay classes along the path of the storm. This storm claimed 21 lives in the process. Conversely, while many places in the US are getting increasingly colder, the arctic is heating up. The region is warming faster than any other — and studies suggest that this warming is weakening the jet stream, which ordinarily acts like a giant lasso, corralling cold air around the pole. Scientist say that the reason a direct connection between cold weather and global warming is still up for debate is because there are many other factors involved. Some factors include ocean temperatures in the tropics, soil moisture, snow cover and even the long-term natural variability of large ocean systems which can all influence the jet stream. In addition, other countries have also been experiencing natural disasters. In Bangladesh, monsoon floodings have been getting increasingly worse. Over the years, the number of casualties has increased due to the severity of the flooding. In Singapore, where natural disasters do not occur, flash-flooding hit the country. These are all connected to climate change and the melting ice from the arctic. Considering all these occurrences, it is highly likely that climate change is responsible for these natural disasters. It also probably caused the recent hurricanes that hit Houston and Miami. The increase in global temperatures are likely resulting in the increased severity of these natural disasters and will only result in more casualties as global warming continues to get worse. To prevent any more casualties, we need to start making better choices for the environment.